For the past few weeks I have been completely obsessed with a British TV series that I started watching on my local PBS station. 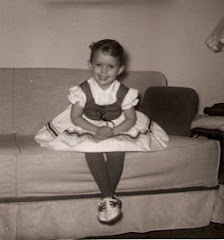 It all started quietly enough, when my mom mentioned she really liked this show. So I recorded it and started watching and then I got completely hooked. To make matters worse, I found all the episodes on Netflix. So I have been spending evenings watching and watching, until I finally finished all 30 episodes. 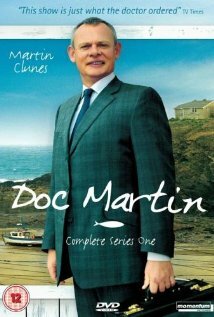 The show is called Doc Martin. It's about an unemotional, taciturn London surgeon, who has a little problem with blood. In the middle of a surgery, he suddenly finds the sight and smell of blood repulsive and nauseating. In order to keep practicing, he relocates to a small town in Cornwall, where he becomes the town GP. In his new practice, he comes in contact with all sorts of quirky town folk with every sort of medical compliant. In the process, it's quite clear he is a brilliant doctor with absolutely no bedside manner. What makes the series completely addictive is when he meets Louisa. If you can find it, please watch it. You won't regret it. Except for the fact that you might get a little bit addicted. Update: Just found out that they are currently filming the 5th season. Oh, heaven! Maybe I can find it on Netflix? I hope so. Start at the beginning and work your way through Rosey. OMgosh! We love the series! We got totally hooked on it and were sorry to see it end!!! We also loved Lark Rise to Candleford and Downton Abby (sp?)! I've got to order it on Netflix soon so I know what you're talking about.